When you’re designing a shirt, it makes sense to cut the fabrics so that the wearer is most comfortable with their arms down at their sides in a resting position. 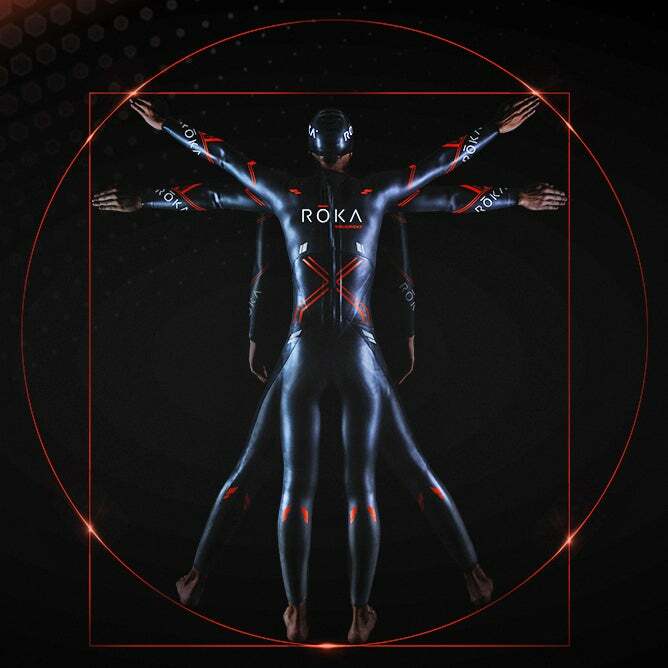 But for a swimmer, whose arms are constantly in motion, Roka Sports believes it’s advantageous to instead design a wetsuit with an athlete’s arms raised and reaching for the next stroke. It’s always a good idea to take a product’s claims of performance gains with a grain of salt, but when it comes to competitive swimming, we’ve seen time and time again that even the smallest changes in a wetsuit’s design can lead to faster lap times—when permitted. 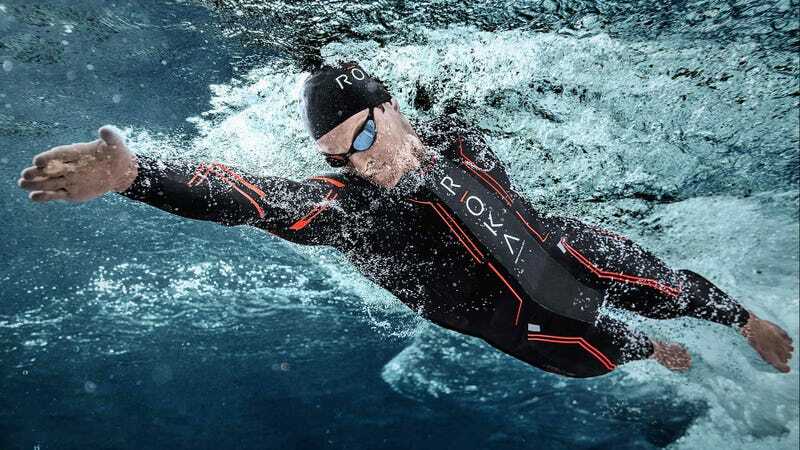 Roka Sports’ new Maverick X wetsuit promises to make you slice through the water like a dolphin. The wetsuit includes a strategic use of buoyant materials to ensure a swimmer’s body is positioned to maximise movement and stroke power, and a Frankenstein-like patchwork of fabrics with varying properties that easily compress or stretch as needed. But it’s the Revolution X technology, where the Roka Sports’ pattern designers started with a swimmer’s arms in a raised position before creating cutting templates for the neoprene fabrics, that could make the biggest difference. If you’ve ever worn a tight shirt and then tried to raise your arms above your head, you’ve already experienced the problem this design is trying to solve. The easier a swimmer can move their arms, the easier it will be for them to exert as much of their energy as possible towards propelling themselves through the water.